IBA BBA Admission Test Notice & Result 2018-19. IBA BBA Admission Test Result 2018-19 will be published and found here. Dhaka University IBA BBA Online Admission 2018-19 Application starting from 03 October and ending on 30 October (2:00 P.M) 2017. IBA BBA 27th Batch Admission Test Final Result & Important Note-2018-19 Updated. IBA BBA Admission Test BBA 27th Batch 2018-19 Dhaka University. IBA Admission Test BBA 27th Batch-2018-19 Dhaka University will be held on see the circular Details. BBA Admission 2018-19 (BBA Batch 27), Written Test result has been published & found here. Candidates having the following Roll Numbers are selected for the Communication Assessment. IBA BBA admission test for the Academic Sessions, 2017-18 was held on Friday 11 November 2017. 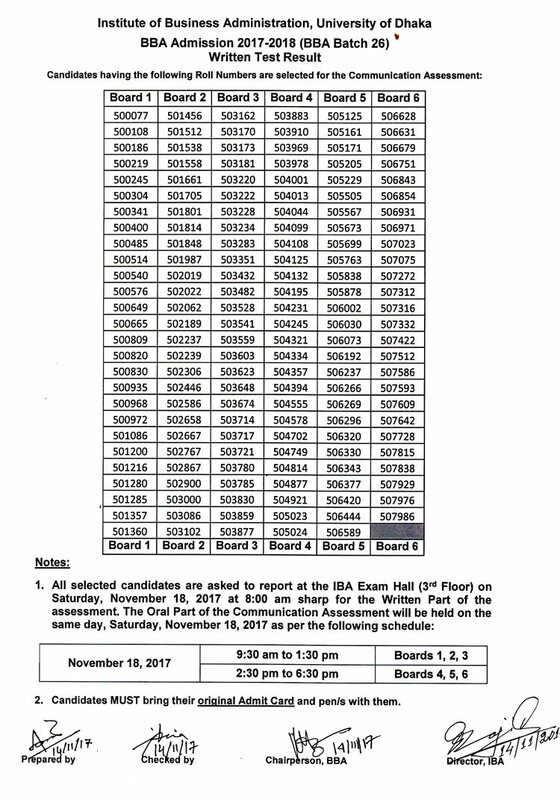 IBA BBA Admission Test Result 2018-19 of Institute of Business Administration (IBA), University of Dhaka was held on Friday, 11 November 2016 and detailed seat plan are given below the pdf link here under. or the Dhaka University admission website http://admission.eis.du.ac.bd for detail information. Online application starting from See the image circular for Details. Online application End on See the image circular for Details. IBA BBA Admission Test will be held on See the image circular for Details. 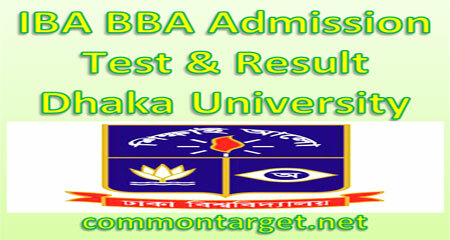 For detailed application procedure, visit the IBA website at http://www.ibadu.edu or the Dhaka University admission website http://admission.eis.du.ac.bd. For further information, visit the IBA website (www.iba-du.edu) or contact the BBA Program Office (Room # 319, 2nd Floor, IBA) or call at 01772563303 or 9663220 between 1:00 pm-5:00 pm any day except for Fridays.